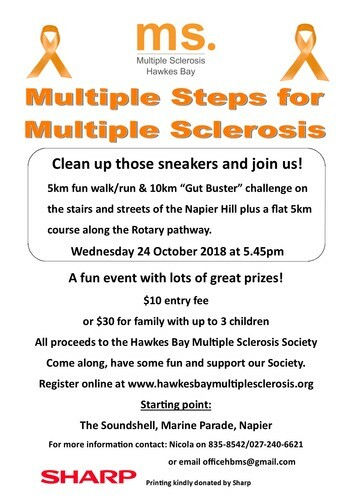 Multiple Steps is a 5km/10km walk/run around the streets and steps of the Napier Hill. This will be our 7th year of running and is getting bigger every year with over 400 people participating last year. We also have a family/disability friendly 5km flat course along the beautiful Napier Rotary pathway on Marine Parade. Pre-register prior to the event via our website. You can register on the night from 5pm but we advise you pre-register. Those who pre-register go into a draw to win a prize.